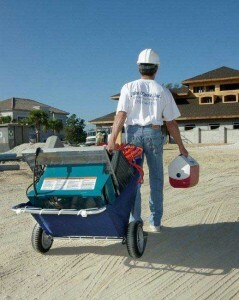 Utilacart is the most versatile cart for Work, Life and Play. Image using your one cart for the beach, gardening, camping, work or going fishing to name just a few ways to use the Utilacart. We have it covered. Our standard of quality for the utilacart is high and comes with a 1 year warranty. The Utilacart is light weight at 12 lbs and carries a load up to 100 lbs. The tires will never go flat as they need no air. Very is to clean. The Utilacart is made in the USA.